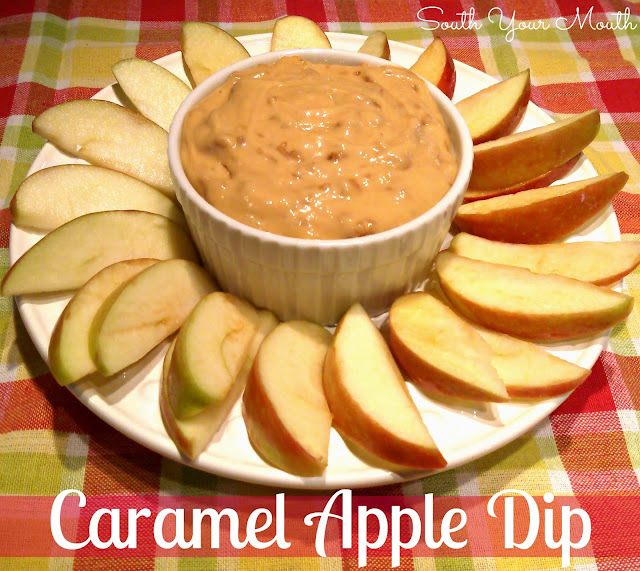 Caramel apple dip made with cream cheese, caramel and toffee bits served with apple slices for dipping. You know what I've come to learn in life? Having friends that love to cook as much as I do is a wonderful thing! And my friend, Dawn, is proving to be EXTRA wonderful! Every time she comes over she brings something she’s made and it’s always sooo goooood! And I’m not just being polite. When I popped this dip in my mouth Sunday I had to take a moment… you know, one of those head hung low, can’t talk right now, just give me a minute moments. I've never had anything like this. 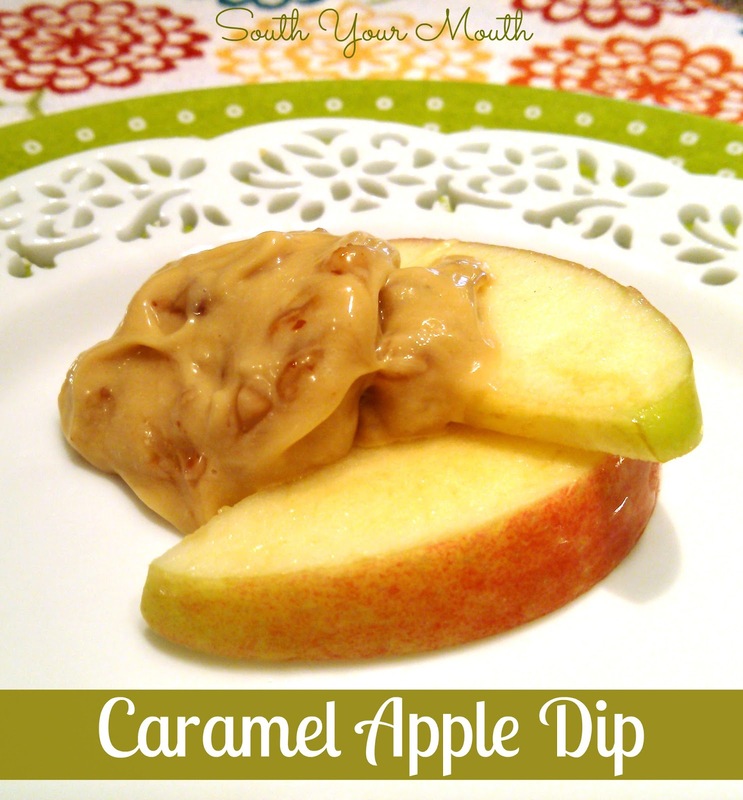 The caramel is beyond rich and creamy and then there’s the crunch from the toffee bits and it all meets up with the crisp, tart apple!? Stop it! Just stop it! Beat cream cheese with an electric mixer on medium speed until smooth. Add brown sugar, sugar, vanilla and caramel dip then continue mixing until thoroughly combined. Stir in toffee bits by hand. Refrigerate in an air-tight container until ready to serve. Serve with apple slices. TIP: Toss apple slices with lemon juice to keep them from browning when served. This recipe came just in time for me to try it out for Rosh Hashanah. It is traditional to eat apples and honey for a "sweet" New Year. Do you think I could substitute the 1/2 c sugar with whipped honey? I think it would be great! Happy new year! I made something similar to these last Christmas. I placed caramel in small 1/2 pint canning jars, placed apple on top and wrapped in clear gift bag with pretty ribbon. Makes great last minute gift. Love your site! A friend of mine taught me to use canned pineapple juice instead of lemon juice to keep the apples fresh. Such a great flavor! I just buy the small cans and if there's any left over, my grand girls love to drink it, or I use it in a fun cocktail! Thanks for your great recipes from a fellow southern gal!